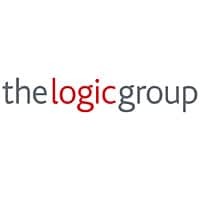 British consumers have a wide variety of attitudes to next generation loyalty programmes, a survey of 2,000 consumers carried out by market researcher Ipsos Mori for customer interactions specialist The Logic Group has found. 21% of the British public said that they would like to receive loyalty scheme offers in this way — but 40% said they did not. More consumers aged 15-24 and 25-34 were positive about the idea (33% and 29% respectively) than their older counterparts (14%). Disagreement is higher among consumers aged 45-54 (50%) and 55-64 (54%), versus younger groups (32%). For older respondents the key reservations were physical barriers (feeling they may be penalised for having out of date devices), knowledge barriers and fear of the unknown, data security, and being tracked. 46% of respondents said they would like to receive offers from loyalty schemes while shopping. 47% said they would like to use a credit or debit card as a loyalty card. There were mixed reactions across all ages to the concept of a mobile wallet. Those who were most negative were worried about fraudulent use, inconvenience if lost, and being a greater target for theft. “More positively, people felt that this would be more convenient as a phone is always with you, and contactless technology would speed up the transaction,” says The Logic Group.